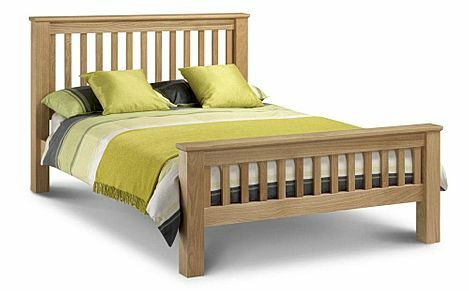 Check out our range of quality super king size wooden beds at Furniture Choice today. If you need more space to sprawl out, a super king size wooden bed from Furniture Choice is the perfect solution. From polished, contemporary styles to classic all-wooden favourit's, these wooden beds are made with hardwearing materials to wit'stand the test of time. If you're not sure which wooden bed is best for your home, call us free on 0800 035 0070 and our helpful staff will answer any questions you might have.